Despite some at-door drama thanks to the venue reaching capacity by approximately 9.04pm (“The line is bigger than a Supreme drop,” one guest astutely observed, for which we apologise), the party got underway with a CK One booth complete with free fragrances and a giant teddy bear, light installations which projected portraits of the 100, and free-flowing drinks. Dazed 100 names including designers Samuel Ross and Dilara Findikoglu, stylist Ibrahim Kamara, musicians Illyr, Cosmo Pyke, The Rhythm Method, and Betsy (that all silver leather look, though), artist Hetty Douglas, filmmaker Mila van der Linden, models Wilson Oryema, Jess Maybury and Sever all turned out. The girls of gal-dem (currently in at number 3) rubbed shoulders with top-spot holder Connor Franta, while Rina Sawayama took over the @dazedfashion Instagram story to show her diary of the evening. 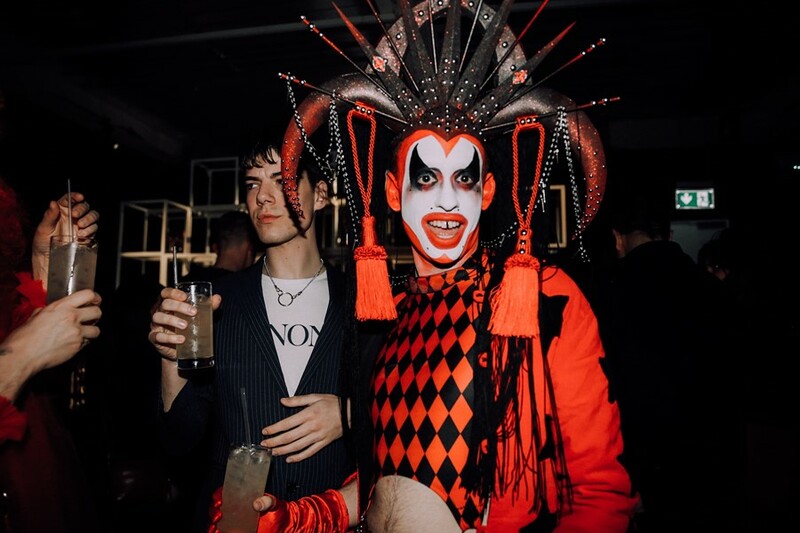 By the end of the night, everyone from Skepta to Edie Campbell was on the dancefloor, with music provided by list-rankers James Massiah, Gaika, BBZ, Sampha, and Bala Club, who opened their set in a mini club inside the venue with a wonderfully twisted Marilyn Manson x Destiny’s Child remix. Shout out to Smirnoff and Peroni for encouraging the fun, and Evian for providing refreshment for the more responsible among us.